When Steve purchased this Daytona it’d been lying forlorn in a garage for seven years, with the fallen roof of the building laying on top of it. 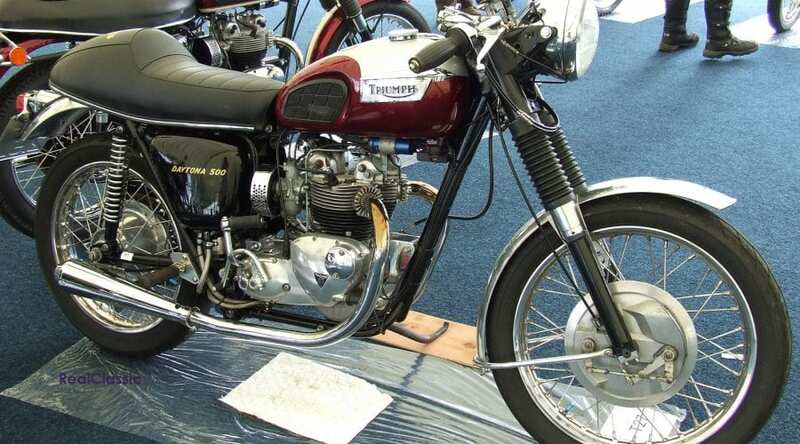 As the 490cc Triumph twin had obviously been a café racer in a former life, Steve decided to go the whole hog and restore it so he could use it for sprints. 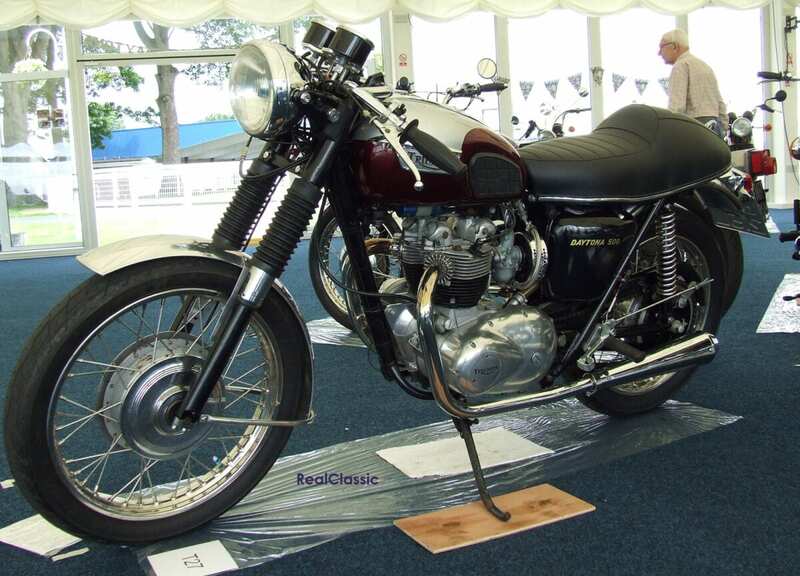 When he cleaned it all up, the petrol tank and paintwork had obviously suffered so it was treated to a new paint scheme which sees the usual pattern reversed. With silver on top and red underneath it flows nicely, matching the alloy mudguards. Steve’s Daytona was registered in 1972 but probably manufactured in 1971. 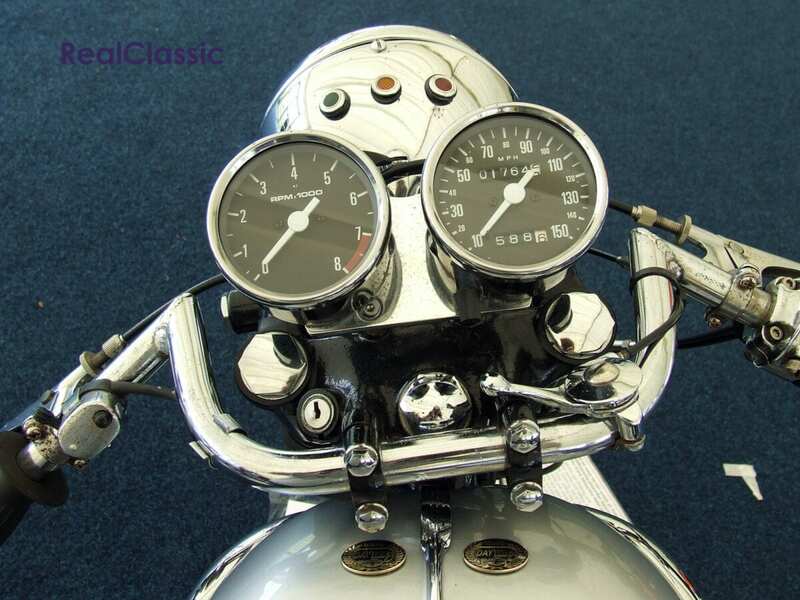 It never had indicators and a lot of the fittings are from 1971. 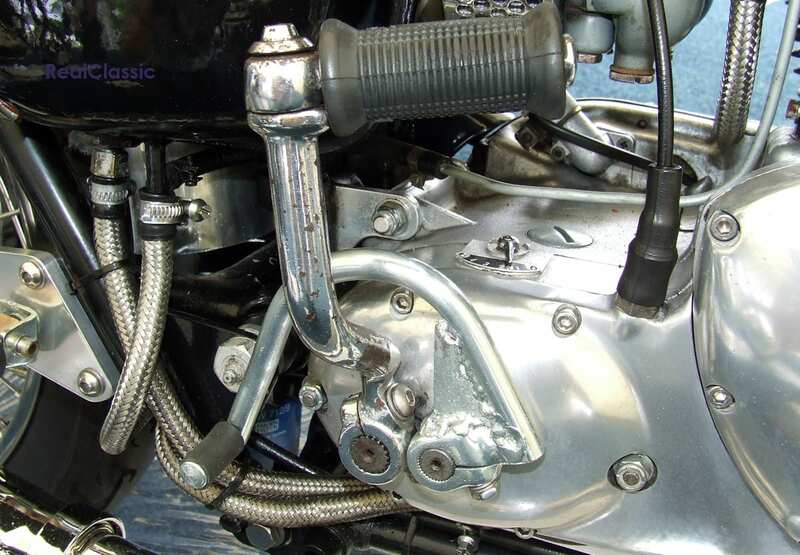 1972 saw a change of top yoke to accommodate rubber-mounted handlebars, and indicators were introduced. Some of the original fittings such as the bars and levers were saved but, unsurprisingly, the seat base had rotted away. 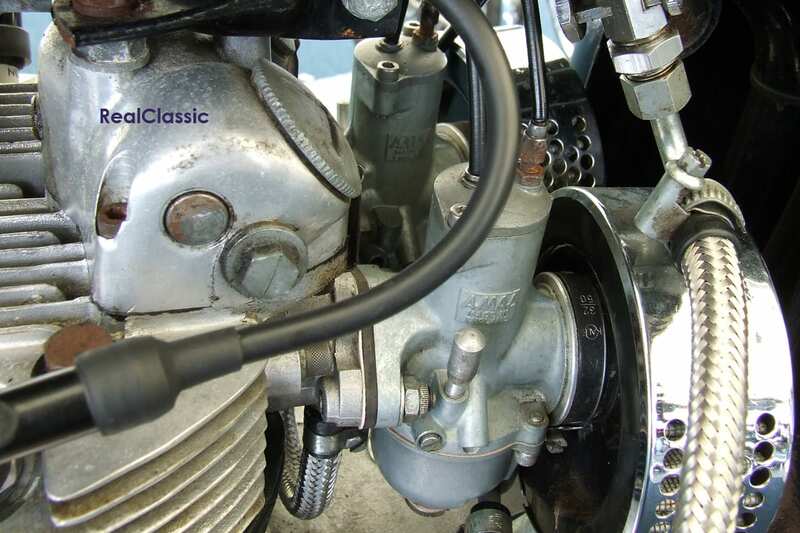 The engine had suffered the effects of corrosion and required a lot of polishing out. The forks had been chromed but were badly pitted, so they’ve been restored and painted as they would have been originally. The mudguards were saved, with Steve fabricating aluminium stays to match. 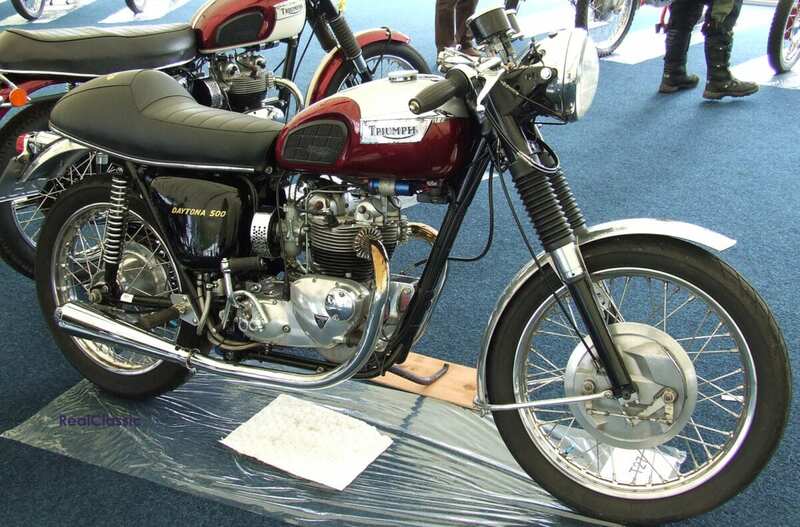 Steve found that the Daytona was a nice bike to restore, with the engine being easy to work on – although the motor needed little work. It has good compression and there’s been no reason to take it apart as it never misses a beat, even on long runs. Engine parts are easy to obtain but some cycle parts, particularly mudguards and tinware, can be hard to source. 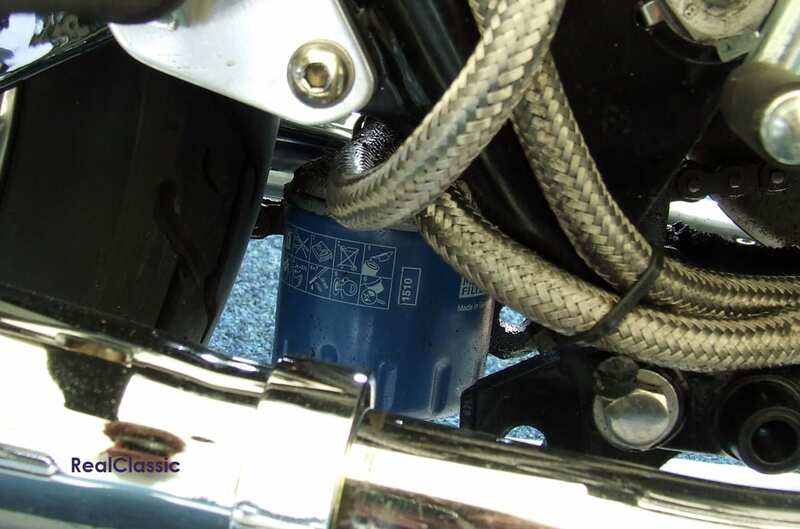 Steve took the opportunity to do an oil filter conversion with a spin-on oil canister; this makes oil changes and servicing easier but unfortunately means the centrestand can’t be used. Steve rides his Daytona regularly. He raced bikes for many years and finds that its riding position really suits him. 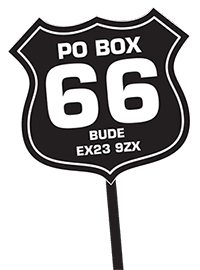 The 500 sportster feels light in comparison to Triumph’s 650 twins, and Steve reckons the Daytona is light and flickable, a lovely handling machine. 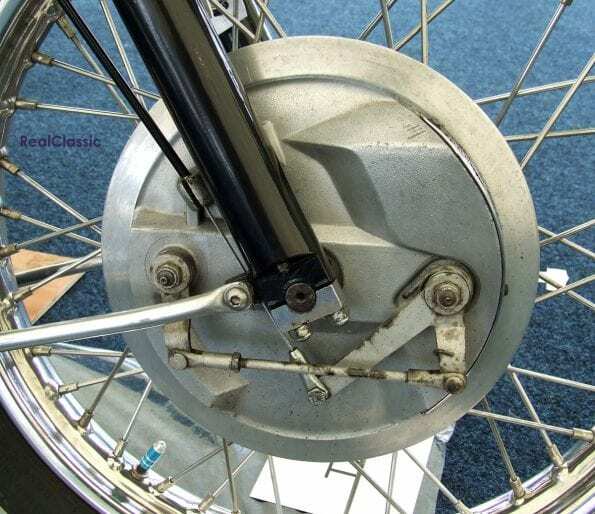 It also stops pretty well, thanks to the eight-inch 2ls front brake, which some riders champion as probably the best drum brake Triumph ever made. Steve’s full-spec twin-carb Daytona engine certainly comes on the cam, and running the mega exhausts at the back accentuates its feisty nature. When it gets to 3000 revs, he says, the exhaust note changes – and it just goes.